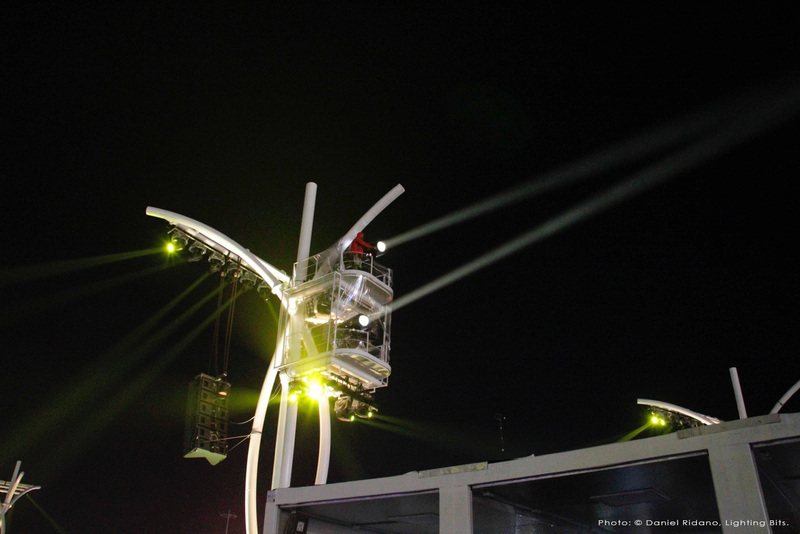 Four Robert Juliat Lancelot 4K HTI followspots took pride of place front-of-house at Brazil’s Rock In Rio Festival this summer. 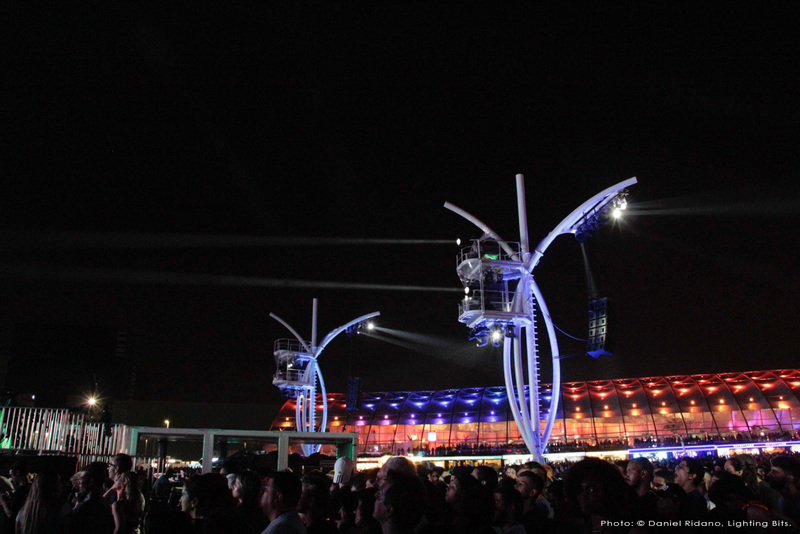 Held over two weekends at the Cidade do Rock at Rio de Janeiro’s Parque Olímpico da Barra, this amazing festival saw headliners Aerosmith, Guns ‘n’ Roses, Bon Jovi, Maroon 5 and the Red Hot Chili Peppers play to over 700,000 during seven fantastic nights. The Lancelot followspots were supplied by Robert Juliat’s Brazilian rental partner LPL Lighting Productions Ltda, whose Caio Bertti worked in association with Daniel Ridano of Robert Juliat’s Brazilian distributor, Lighting Bits Ltda, to ensure the festival’s lighting designers, Patrick Woodroffe and Terry Cook of Woodroffe Bassett Design, selected one of the best long-throw followspots on the market to work with. The Lancelot fixtures were rigged in full view of the audience on stylish, modern lighting and sound towers - skilfully designed for minimal impact on audience sightlines and to give a real architecture to the festival site on the aerial camera shots - which arched gracefully over the enormous crowds that make up one of the world’s largest music festivals. The huge throw distances and equally big names on stage called for the precision and finesse of Robert Juliat followspots to illuminate some of rock’s greatest bands in front of the massed fans and television cameras. 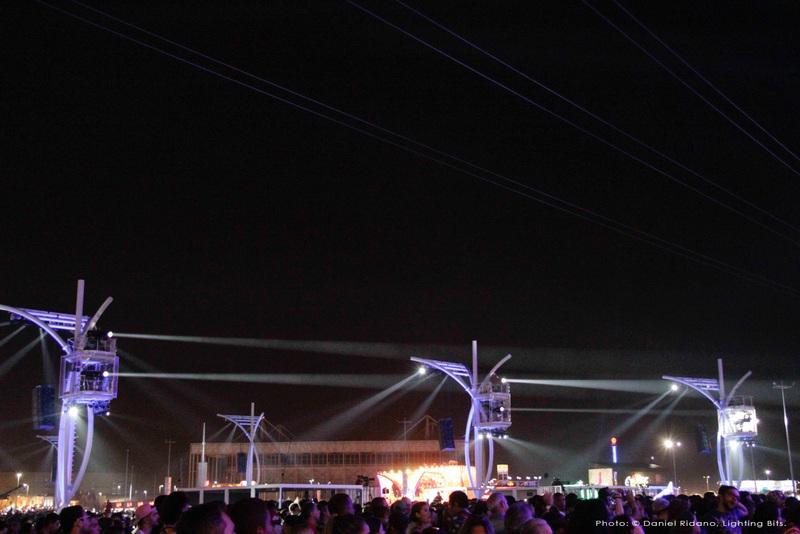 “We chose Lancelots for the stadium shows partly because of their brightness, but also because they are the followspots that most lighting designers would like to see on their shows,” says LPL’s director and lighting designer, Rafael Auricchio. “The performance and ergonomics of the Lancelot keep everybody happy: our operators found them to be very light and easy to handle, which is very important over the long throw distances; Cesio Lima, the director of photography in charge of the festival’s broadcast for Multishow/TV Globo, and our business partner, said the brightness and quality of Lancelot’s beam was vital for the broadcast conditions. LPL is the first company to bring 8 RJ Lancelot and 4 RJ Merlin followspots to the Brazilian market, having supplied a further 4 RJ Lancelot followspots to the SP Trip Festival in São Paulo, and 4 RJ Merlin 2500W HMI touring followspots for the South American leg of Aerosmith’s Aero-Vederci tour. “Before we invested in Robert Juliat, there were no followspots in the country capable of long-throw and precision shots,“ says Auricchio. “By making this investment, we believe we can support every kind of concert with the same quality people find in Europe or the USA.